It’s great isn’t it, managing a fleet of taxi cabs, truck and trailers, HGVs, vans or coaches – safe in the knowledge you know where they are at a given time? Yes, you’ve done the right thing and installed a tracking unit. With super efficient technology, at least if the container or cab gets taken, you can be pin point sure of where it is. Just through things like fairings, skirts or the new design of wing shaped trailers, you could reduce fuel demand by around 10%. Make the gap between the back of the cab and the front of the trailer as small as possible; minimise airflow impact on the tailboard leaving the easysheets of tippers closed when empty. Look at how and where fuel is being used by checking mpg. Does it have peaks and troughs according to the seasons and weather factors? If you discover an odd discrepancy in daily mpg investigate it; take steps to prevent it. 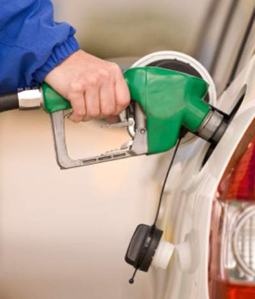 Fuel usage could be an indicator of poor driving. How quickly do the brake lining pads need replacing? Look at vehicle maintenance records. Driving with the gears rather than over reliance on the brakes can have a big impact on fuel gulping. Generate team spirit; provide training, including senior management, send out a regular newsletter with handy tips. Why not offer a weekly or monthly bonus – of fuel, what else? – for increased mpg? Under-inflated tyres create more resistance when your vehicle is moving, so your engine has to work harder, and more fuel is used. Get drivers to regularly check, adjust tyres, decreasing wear and tear. Most GPS vehicle tracking systems provide reports on key statistics, such as real time fuel usage, mileage, idling, heavy acceleration and braking. This is great for seeing problems with particular vehicles and when changes to your fleet are needed. 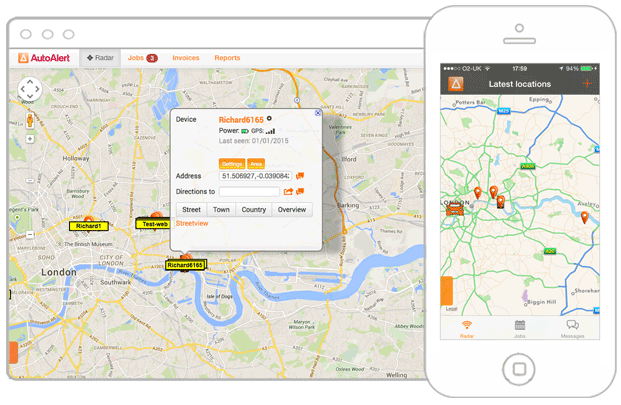 Hey, take a look at the GPS Tracking section of our website for some more info on this. Avoid routes which include lots of stops and starts, hills, congestion, changes in road speed. 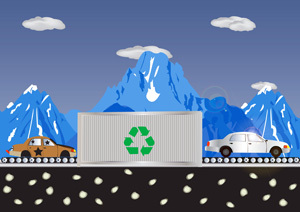 Give the right route to the right vehicle by identifying which are the most fuel efficient for the correct load and any other relevant factors. What vehicle do you need to purchase and why? Make a list of specs on things like height and width so these are not larger than required for your jobs. Large trucks can use almost 1L of fuel an hour whilst sitting still with the engine ticking. This is just wasteful; most truck batteries are capable of running equipment, including in cab entertainment or heating without the engine throbbing away. Cutting fuel usage and expenditure will also help the environment by cutting CO2 emissions. Try following these tips for a month or so and calculate your fuel saving: you may be surprised to discover just how much you can save by adopting a few simple strategies. >> Let me know how you get on, be great to hear your stories. Motorists unite! We’re having a tough time, aren’t we? I mean, with rising fuel costs, January VAT increase, maintenance and repair bills, insurance going through the car roof, tax and traffic jams, does it get any worse? Fuel is heavy and adds weight so the less fuel you have in the tank, the more efficiently it runs because the less effort it needs to accelerate. By filling up more often, with less fuel you’re saving money. It is also helpful to de-clutter your car from boot and seat junk, or anything unnecessary. This will lessen weight and make extra savings. Sounds simple, I know. Yet the vast majority of motorists get caught out with hefty parking fines, simply because they parked incorrectly, not because they were intentionally flouting the law. There are lots of things you can do to cut your driving costs, these are just a selection. Try them and see how they work for you, be great to get your comments.